It’s impossible to see the movie The Hundred-Foot Journey and not fall in love with the scenery. It’s as enticing as a vintage French travel poster. 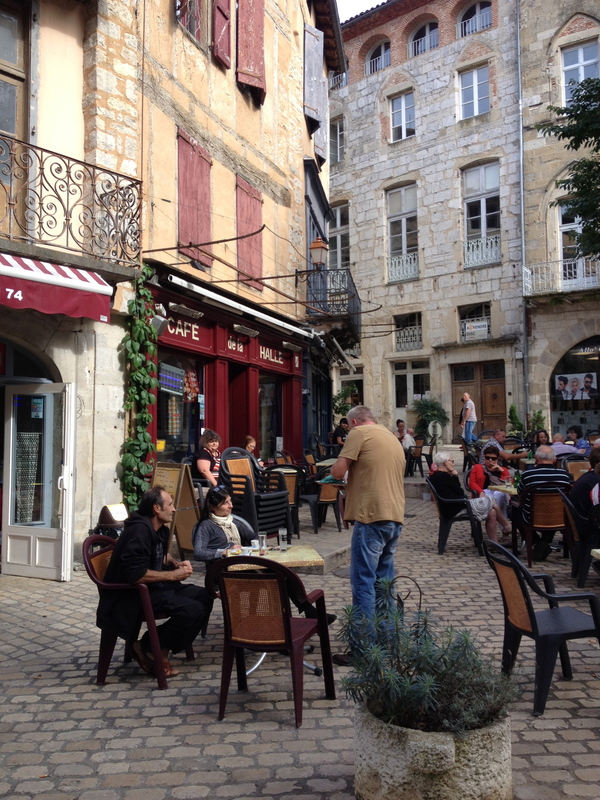 On a recent trip to Bordeaux, I realized I’d only be a three-hour drive away from the village where the movie was filmed, and because I had an extra day on my calendar, I said why not? 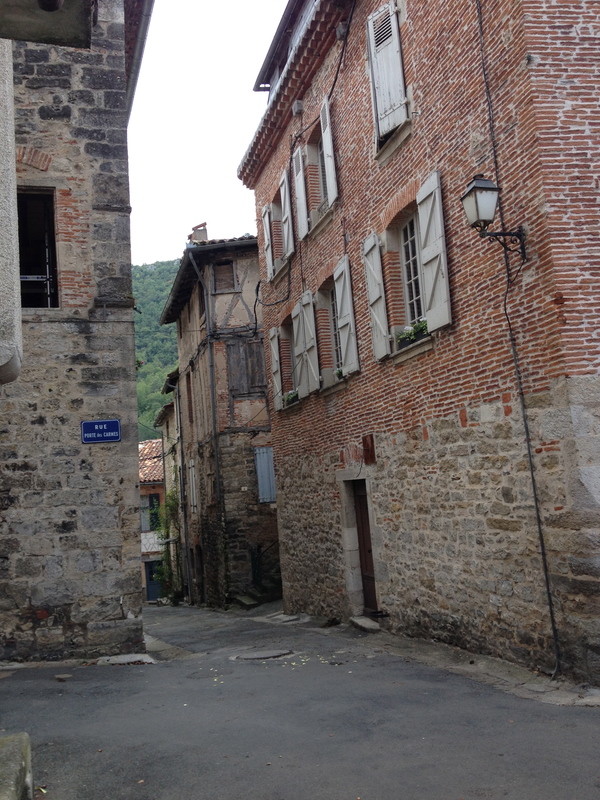 And that’s how I find myself in the beautiful medieval village of Saint-Antonin-Noble-Val in the Tarn-et-Garonne, along the banks of L’Aveyron. Saint-Antonin-Noble-Val isn’t all that easy to get to (click here for a map), depending where you’re starting from. It’s probably the easiest to reach from Toulouse, but you can also find your way from Bordeaux like we did. Just build an extra day into your itinerary if you can. It’s worth it. 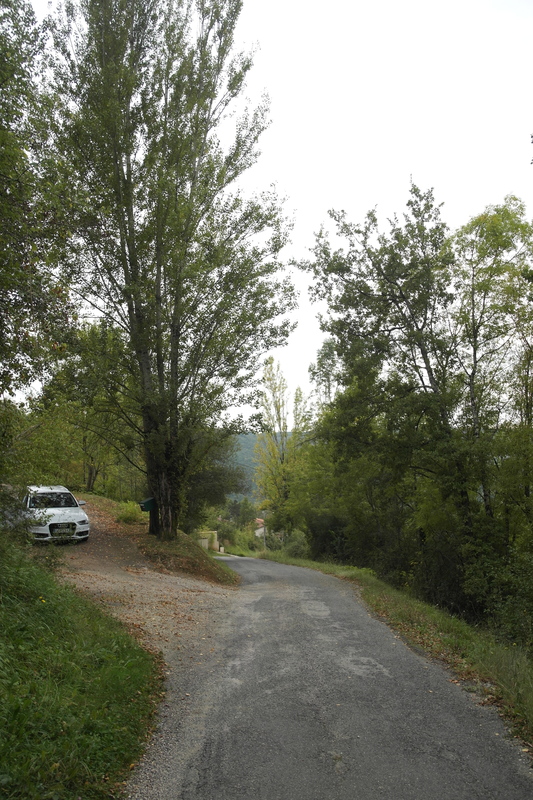 As we drove toward the village from Cahors, down the D958, we suddenly found ourselves in a spectacular little valley surrounded by limestone cliffs and wooded hills that swept down to the Aveyron River. You come around a bend and there it is – you know it from the panoramic shots in the movie. Saint-Antonin-Noble-Val. 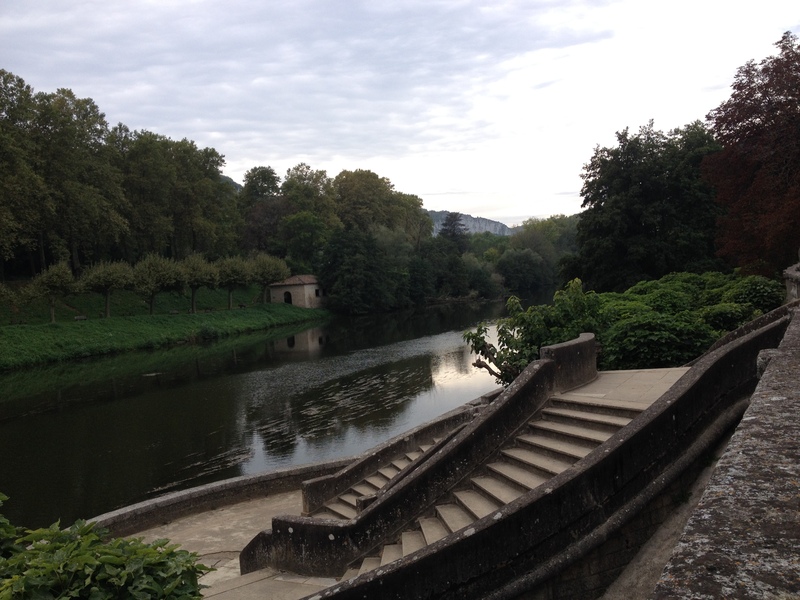 Saint-Antonin-Noble-Val, still beautiful in fading sunlight. We found parking just outside the city center (which with its narrow medieval streets is pedestrian only) and wandered into the middle of town where we easily found the Tourist Office at 10 rue de la Pelisserie. 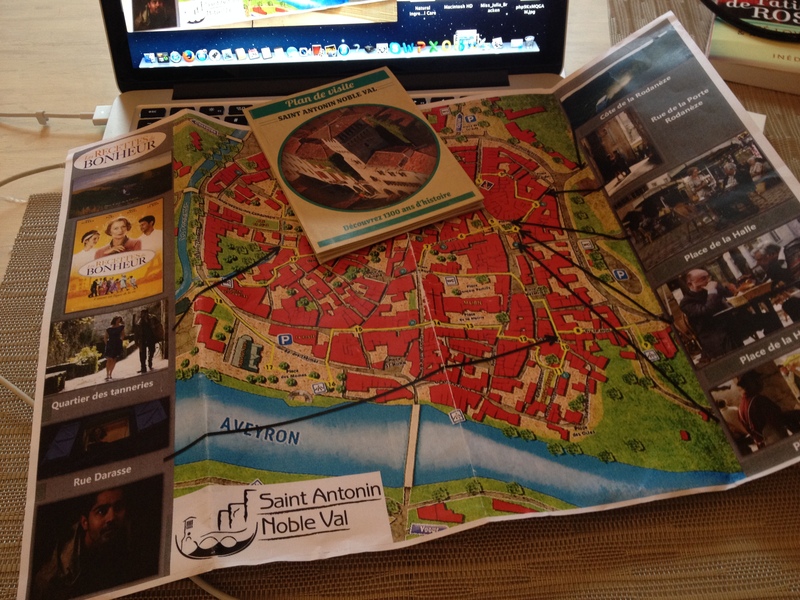 They just happened to have the most marvelous movie-site map of all the film locations throughout the village. 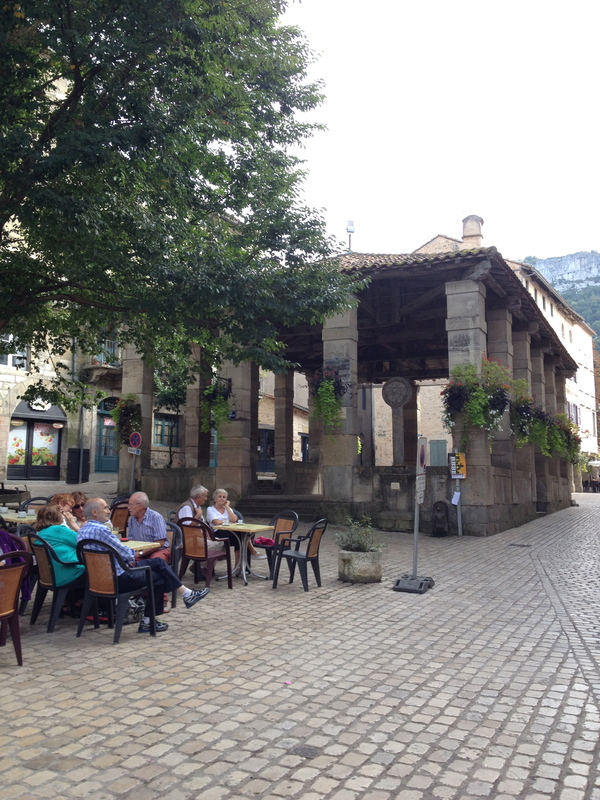 Next came the Place de la Halle at the center of town with the distinctive covered market and cafés. We stopped for a glass of rosé and looked around, wondering if the village mayor was at a table nearby, patiently listening to the citizens’ complaints. This is where Madame Mallory (Helen Mirren) and Papa (Om Puri) came to bend the mayor’s ear with their complaints about each other’s restaurants. 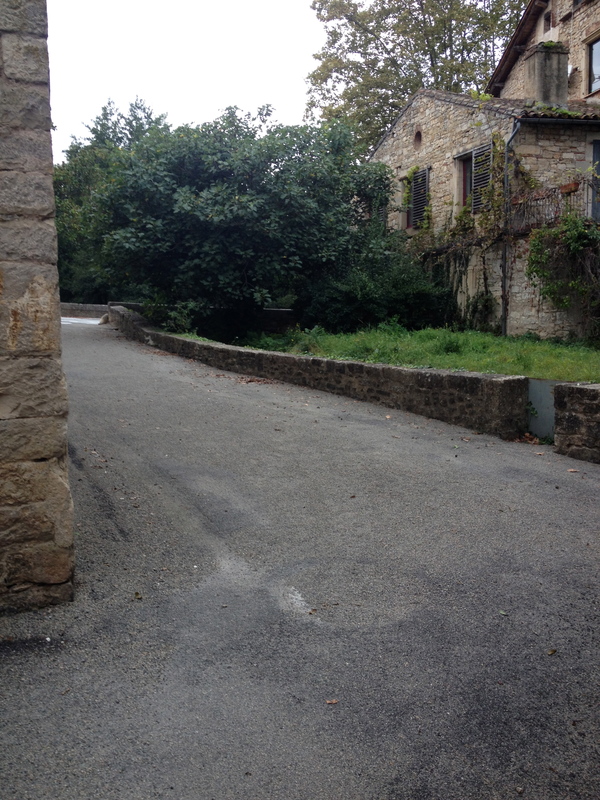 Up next was the street where Marguerite lived and where Hassan came courting. 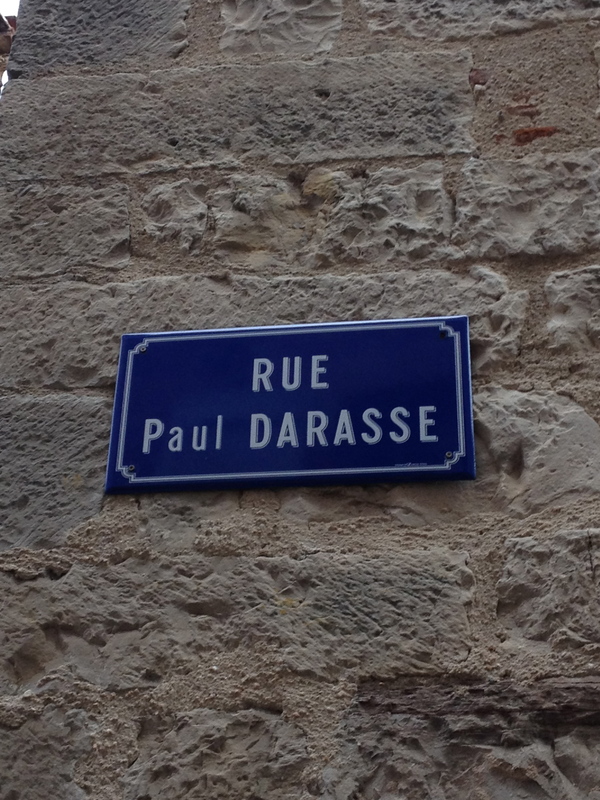 The map told us that was filmed on rue Darasse. 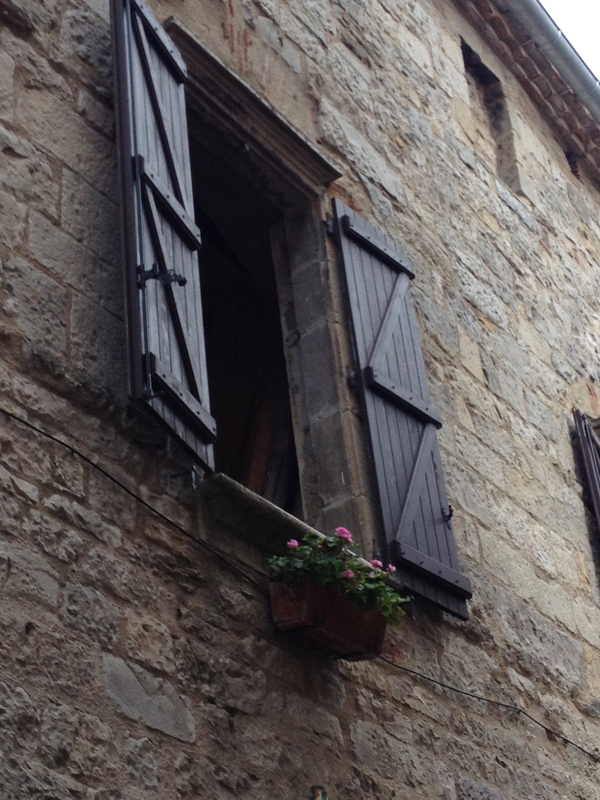 We were left to wonder: which one is the Romeo and Juliet window? 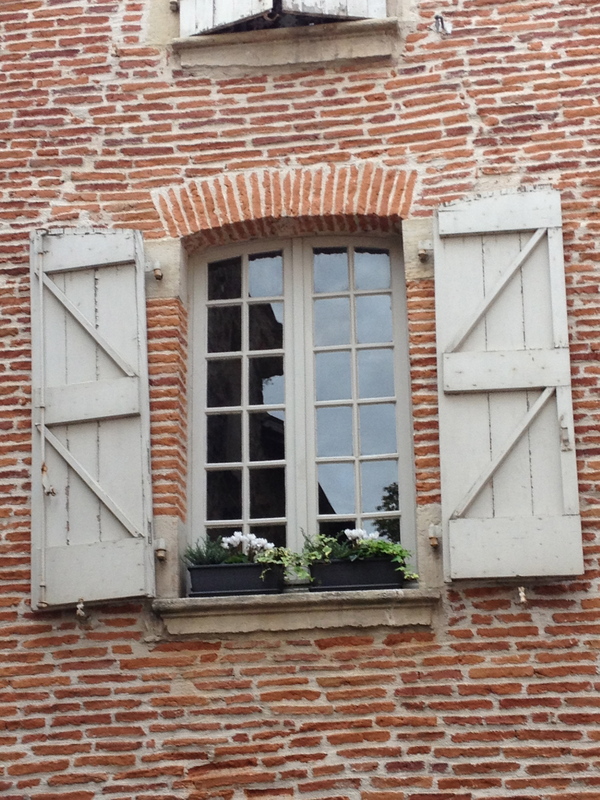 Then it was a short walk across town, past the Mairie and over to the Quartier des Tanneries. 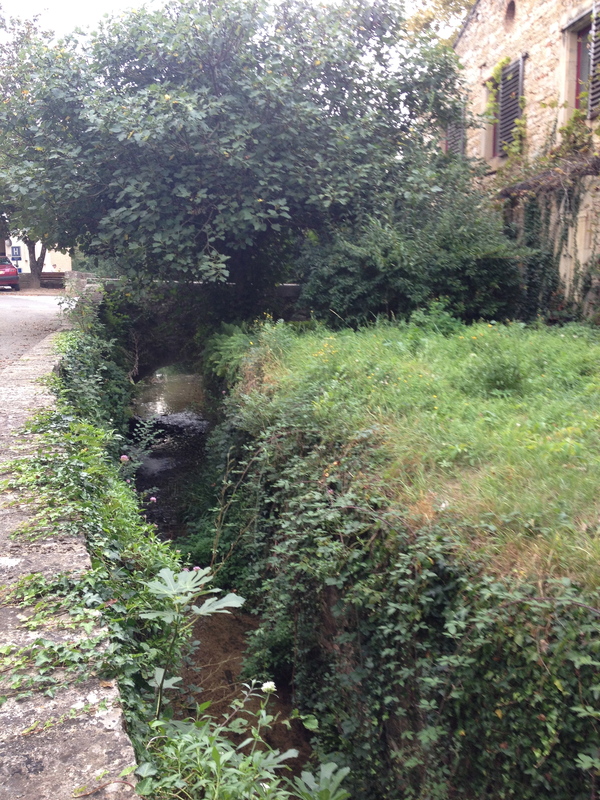 This was the area where Marguerite and Hassan took a walk upon his return to the village. This quarter was once home to tanneries, flour mills and and thriving drapery business. 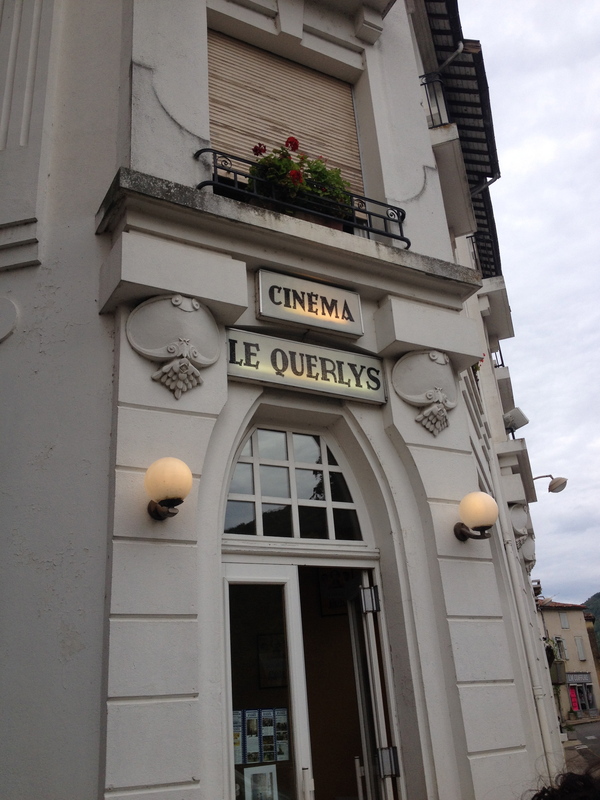 We continued to stroll through the charming little streets until we stumbled upon the local theater, Le Querlys at 14 bd des Thermes. 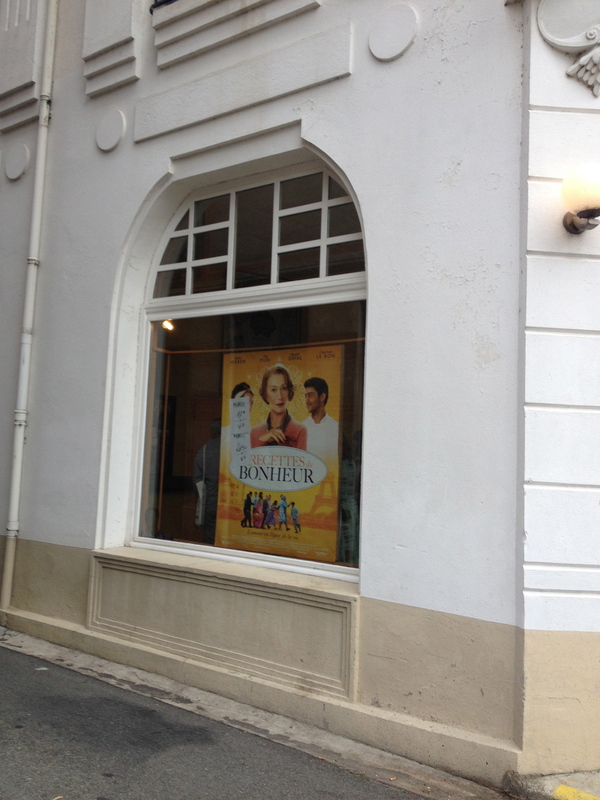 which has daily showings of Les Récettes du Bonheur (the French title for The Hundred-Foot Journey.) 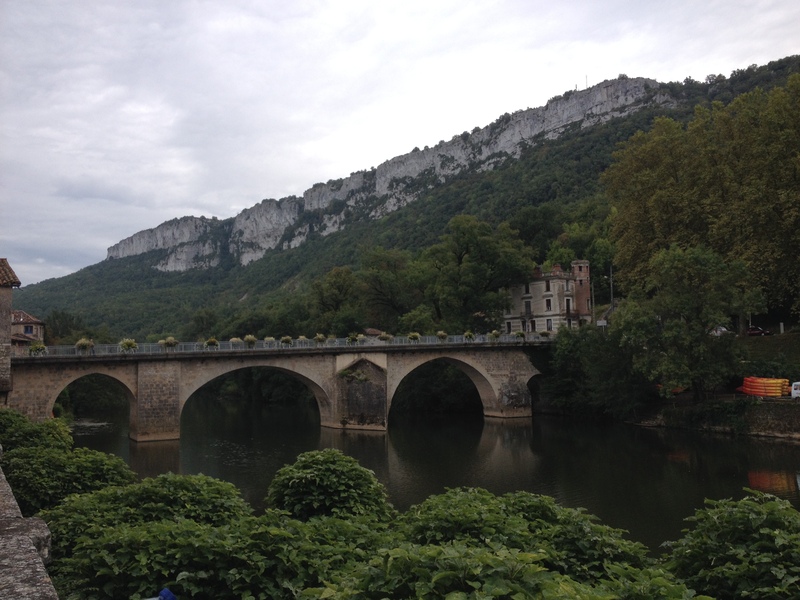 If only we had known, we might have built it into our itinerary, but instead, we decided to leave town to reach our hotel near Cahors before dark. You might want to check Le Querlys website to see if the film is still showing when you make your own visit. How fun to see it in French in the very town in which it was filmed. And because readers of this blog know that the book is always better than the movie (amiright or amiright?) 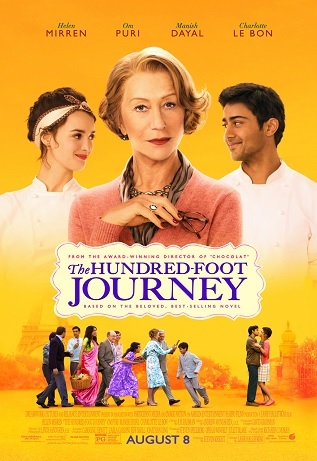 I can’t leave without reminding everyone that this movie was based on the book, The Hundred-Foot Journey by Richard C. Morais. Before the movie came out and it was subjected to the movie-cover treatment, the book had this even more beautiful cover. 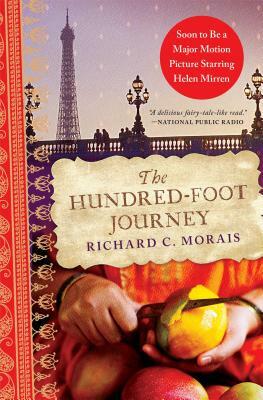 Interesting to note: author Richard Morais is an American who was raised in Switzerland and who lived most of his life overseas. 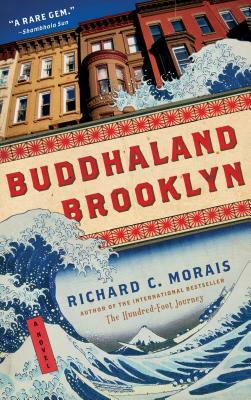 He currently resides in New York and is also the author of Buddhaland Brooklyn. Finally, one more fun fact I stumbled upon as I put this post together? You can follow @the100ftjourney on Twitter for behind-the-scenes photos and recipes. This entry was posted in Film Site - France and tagged Film Sites in France, Les Récettes du Bonheur, Richard C. Morais, Saint-Antonin-Noble-Val, The Hundred Foot Journey by americangirlsartclubinparis. Bookmark the permalink. Hi Can you tell me if this guide map also takes you to the street where the two restaurants were opposite one another? id like to visit and create a special moment with my girlfriend later this year. No, the restaurants from the movie are not on the map and are not inside the village. They were out in the country and I never figured out exactly where. Good luck! Up with your choice or try the junction at 44.09.30.29 N 1.46.04.55E. Gravel, uphill to the left! It’s on the Rue Cote du Rodaneze 1.5 Kim’s NE of St Antonin. Your other info is good though. I’ll be there next week so will check it out. I enjoyed the movie and the countryside is magnificent. I’m also interested in history, particularly the Hundred Years’ War, hence trips to this area.